TestimonialsWe love our clients, and our clients love us! Thanks for continuing to work with us to improve the integrity of of our field crew’s safety net. Our law firm constantly relies on Sound Telecom to handle our answering service. We have been doing excellent business with them for about five years and we are completely satisfied with their professionalism when representing our company. I would recommend Sound Telecom to anyone in need of a competent answering service. 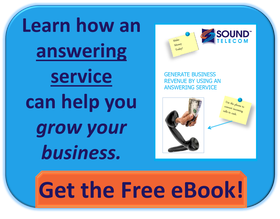 We are very pleased with using Sound Telecom as our answering service. The staff that answers our phones are always pleasant and courteous and our messages are delivered promptly. The Customer Service department is always helpful and resolves any problems we have quickly and courteously. We would definitely recommend Sound Telecom to anyone who is interested in a wonderful answering service. In the time we have used Sound Telecom Answering Service Company we could not be happier with the level of service we have received. In working with other companies in the past years, we have found your company to be at the top of the game. Your staff is extremely efficient, friendly and helpful to us as well as our patients. We really appreciate and look forward to many more years with you. Matthew Beck,Park East Group Inc. The team at Sound Telecom is directly responsible for my team's success. Our ability to perform with the highest quality of standards wouldn't be possible if it wasn't for the great people at Sound Telecom. They perform at a level second to none so we can perform at a level second to none. I found Sound Telecom by doing an internet search when we first decided to reach out for an answering service to aid us in our night time emergency maintenance/alarm calls. From day one when I spoke to the service sales department I was impressed on how customer orientated the company was. Our 7 years of usage of Sound Telecom services has been excellent. When we are called for a client emergency by the service, the information that is relayed to us is very detailed. They are excellent at obtaining the required information to relay to me when a service call comes in. I have no issues with the service we have been given or the cost associated with contracting with this company for services. This service came highly recommended by one of my colleagues and I have never had any problems with it. One thing I appreciate is the professional way my calls are answered. The messages from my clients are sent to me immediately via e-mail. This helps me keep track of calls. I have never once had a client complain about how my phone is answered and this is really saying something - to me it means that each client is always handled in a courteous and professional manner. Another feature I appreciate is the variety of plans available. 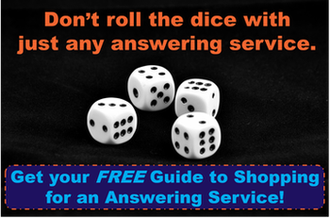 When I started using this service, I over estimated the amount of time that would be needed. After a short while I was able to go to a less expensive plan that turned out to suit my needs best. I recommend Sound Telecom to anyone who wants their phones answered by a living breathing person who is professional and courteous at all times. Now, when I need to forward my calls, it is a stress free experience because Sound Telecom has my back - this is a great feeling when you are a sole practitioner! I am very pleased with the service to my patients and my needs. I wish I had arranged this years ago. Your staff answer each call on the first ring. They check to insure whether it is an emergency call and then let me know immediately within a few minutes of every call what the message is. I am 100% caught up on my calls because of this efficiency. I also have a written record of who has called and when so I can handle those who claim to have called and they actually have not. I also have a good history of contact phone numbers, which are sometimes different than those I have on record, which is very good in terms of reaching those who have called. I have not had any errors in the phone numbers from your service. I like the way your staff respects my patient’s wishes if the patient does not want to disclose personal information. They are very professional and code that in the message to me. The 24/7 coverage also meets my Medicare and Medicaid insurance requirements. I appreciate this solution to that problem. For someone in solo private practice this works great! Please let your staff know how much I am thankful for this service. You should know that the professional manner in which you have worked with us is most admirable from the first call when we explored options with the Founder until now. I want to congratulate your entire organization for their great attitude, friendly service and classy way you operate the business. You set a standard for excellence that is seldom achieved in the United States. Again, congratulations!